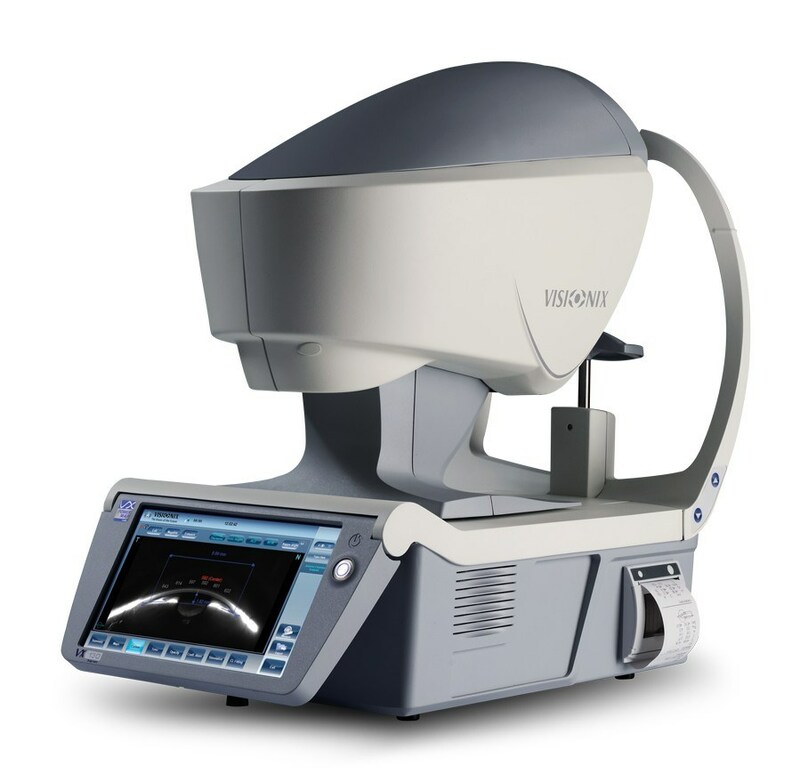 The key feature of the Auto Refractor / Keratometer RC-5000 is the “Touch Alignment”. In many cases, the patient’s eye may be seen around the edge of the monitoring screen before alignment. 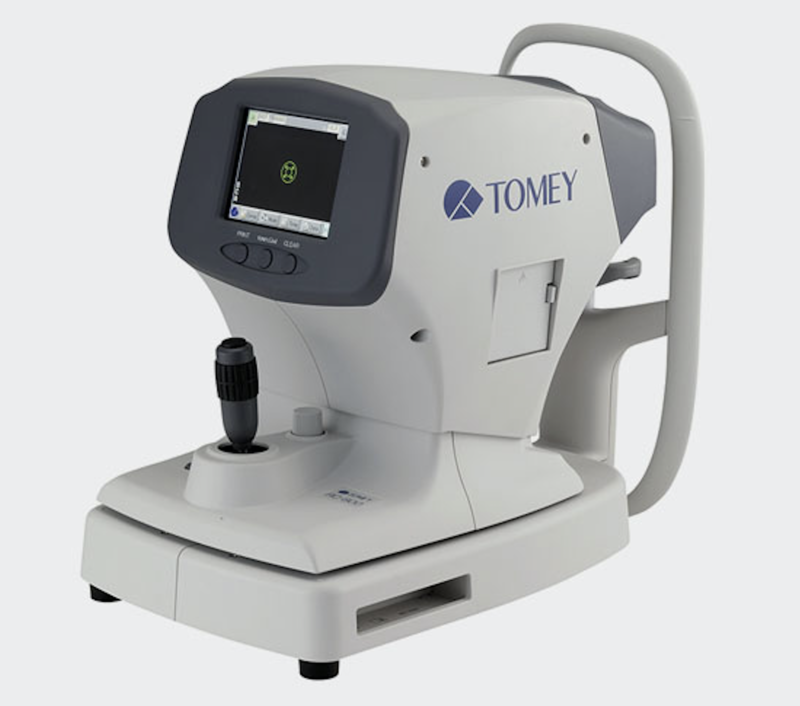 In the past, the operator would manipulate the joystick to align the optical head of the device with the apex of the cornea. But now, the operator just touches the image of the pupil on the screen with a fingertip to perform this alignment. 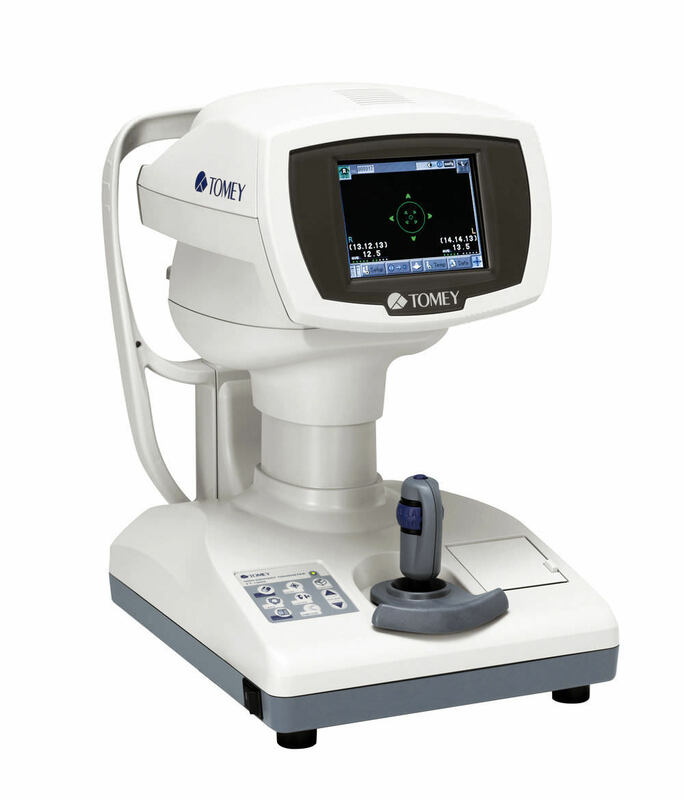 Besides this innovative function, the RC-5000 has the corneal irregularity indices “KAI/KRI” to aid detection of corneal asymmetry/corneal regularity. Automatic Measurement: Use power assist joystick for rough alignment. 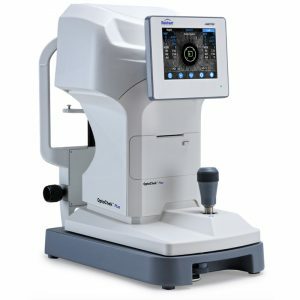 Touch the center of the pupil on the display with your fingertip and the RC-5000 will automatically align and begin measurements. 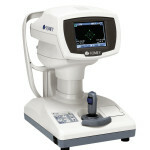 Press the R/L icon on the display and the instrument will automatically move to and measure the other eye. Printing is automatic. Refractometry: Normal Mode: Fogging is applied automatically for each measurement for more accurate results. Quick Mode: Fogging is applied a needed for consecutive measurements. IOL/CAT Mode: This mode is used to measure cataract or pseudophakic eyes. Keratometry: Short consecutive measurements and time provide reliable data. Measurements at f 6.0mm (R=8.0mm) to f3.0mm give you enough information for contact lens fitting. Base curves of contact lens are stored, categorized and suggested manufactures are automatically printed. 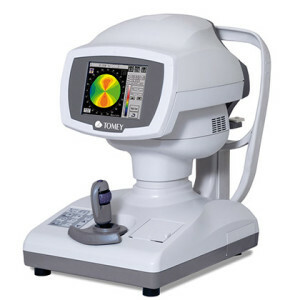 Diameter Measurement of Cornea and pupil: Measurement can be done easily by moving the two cursors on the display to the boundary of Cornea or Pupil. This is useful for deciding the diameter of contact lens and for other contact lens fitting practices. Power Chinrest: This chin can be moved by pushing the buttons on the front panel. No need to reach to the chin rest manual adjustments.